Netgear's AXC763 3m Direct Attach SFP+ Cable features drives 10 Gigabit Ethernet (3 m distance) and SFP+ connector on both sides. 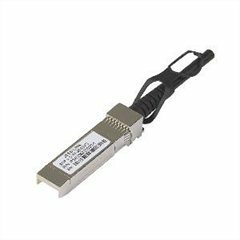 It also can Direct Attach SFP+ copper cable (10GSFP+Cu). this cable has a 5 year warranty.